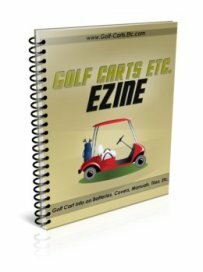 Discount Golf Cart Batteries - Are They A Good Value? Should You Buy? 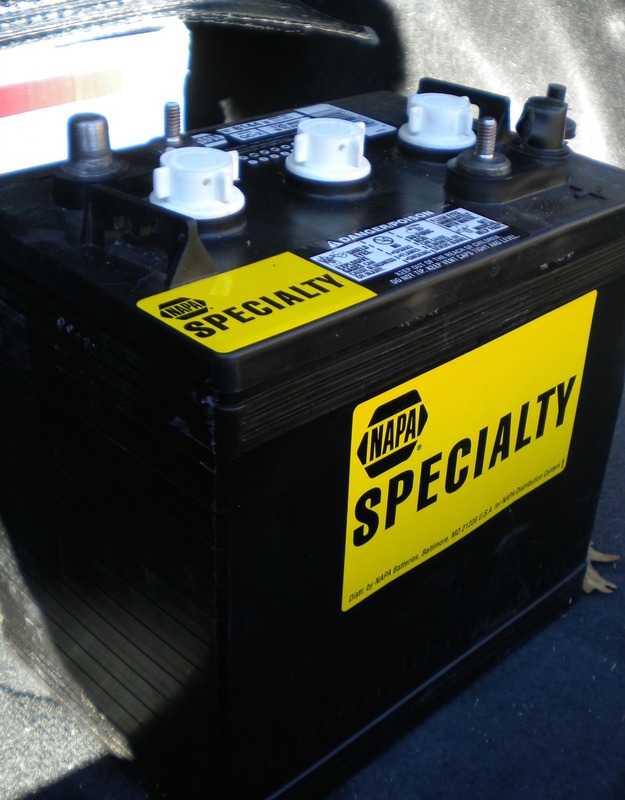 Should you consider discount golf cart batteries when it comes time to replace your deep cycle batteries?. I found my old receipt and discovered that my Exide batteries were almost 5 years old. That would explain why they weren't holding a charge very well. So it was time to replace them. 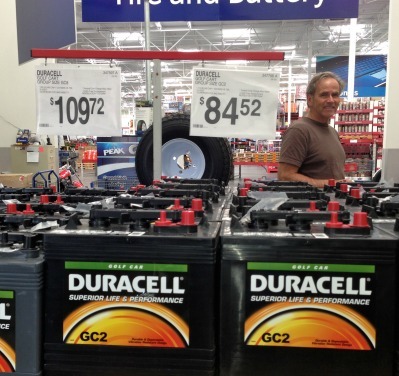 There are a couple of reasons why a person may consider an off-brand battery or rather I should say there are a couple of people who may consider buying a cheaper deep cycle battery. A set of electric golf cart batteries is a big investment that needs to be protected - whether you get discount batteries or the more expensive Exide golf cart batteries. 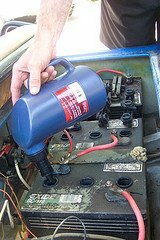 Maintaining your batteries with a regular watering program as well as keeping them free of corrosion will extend the life of the batteries. I've had my Napa discount golf cart batteries for 4 years now and they still hold a strong charge and get me across town. Of course I practice a good maintenance program and perform correct battery charging.